Nick Charlton Smith is a Strategic Consultant with CSP Acoustics. He is a member of the Institute of Acoustics and the RIBA and a Fellow of the Royal Incorporation of Architects in Scotland. He is also an Honorary Fellow of the Association for Project Safety. Nick advises the company on strategic development issues, corporate performance and standards, as well as acoustic know-how when required. Nick has worked as an architect, lecturer and acoustic consultant for over 40 years and has extensive experience in building acoustics and noise control. 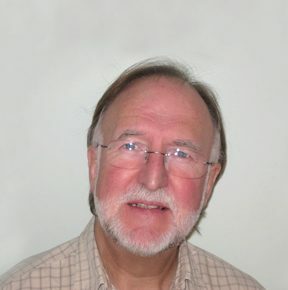 He has undertaken numerous appointments as an expert witness in Public Inquiries and Court Actions, together with research and publishing activity – having contributed on a number of occasions to “Scottish Planning & Environmental Law” and architectural journals – as well as conferences on acoustics, noise and planning related issues. Preparation of Guidance to Scottish Architects (Members of the RIAS) on the Test Risk Management implications of the post-completion testing requirements of the Scottish Building Standards (Published as RIAS Practice Note: “Sound Insulation and Testing of Residential Developments – A Guide to the Implications of the Building Standards”) and guidance prepared for RIAS to help Scottish architects assess the viability of the use of the Scottish Robust Details scheme. Download the Test Risk Management Guidance – January 2015 here.